Jeremy is a ‘Man of Kent’, being born near Ashford in 1949. He was educated at the King’s School Canterbury and then studied at the National College of Food Technology (Reading University) obtaining a bachelor degree and a Doctorate in Food Technology. 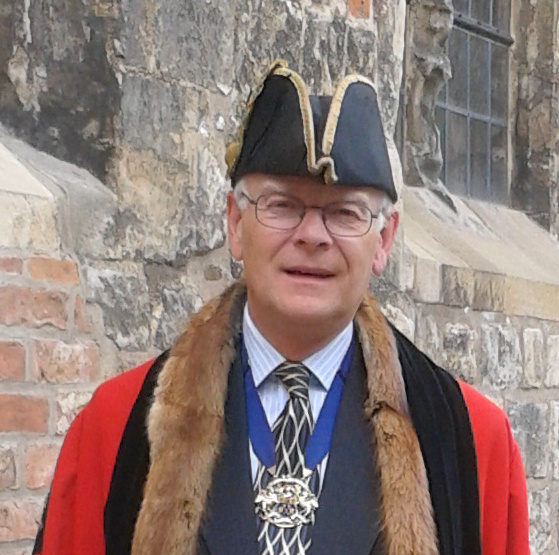 He has been a member of the York Butchers’ Gild since 1995. In 1975 he (a) married Mary Rose (born and raised in Harrogate) and (b) moved to teach food processing at Loughborough University. From 1984 he worked as Director of the Food Technology Division at the Campden and Chorleywood Food Research Association. This involved a variety of government, European and industrial research projects, and also contract project and training services for the UK food industry, including the meat sector. In 1998 he became Managing Director of the International Food Information Service based near Reading, publishing the bibliographic database Food Science and Technology Abstracts used globally by government departments, university libraries and large food companies. For three years he was also non-executive Chairman of the Food Processing Faraday Partnership, a DEFRA knowledge transfer network to stimulate UK food manufacturing efficiency. He has been an Honorary Research Fellow at Birmingham University, a Visiting Professor at Reading University and an external examiner at several others. He was a Fellow of the Institute of Food Technologists (UK), a professional member of the Institute of Food Technologists (USA), a member of the Institute of Directors, a member of the Chartered Institute of Personnel Development, and a member of the Special Librarians Association Food and Nutrition Group (USA). He retired from full time work in 2009 and moved to Lancashire near Carnforth where he enjoys walking and can often be found singing folk and soft rock with his guitar at various venues. With Mary Rose, he also enjoys a part-time life in Italy where they cultivate a small olive grove and press their own olive oil. Their daughter Amy is a political advisor in London, and son Edward, currently in Australia, works in the food and beverage sector.